I thought I’d start by sharing some of my crochet projects from last year. 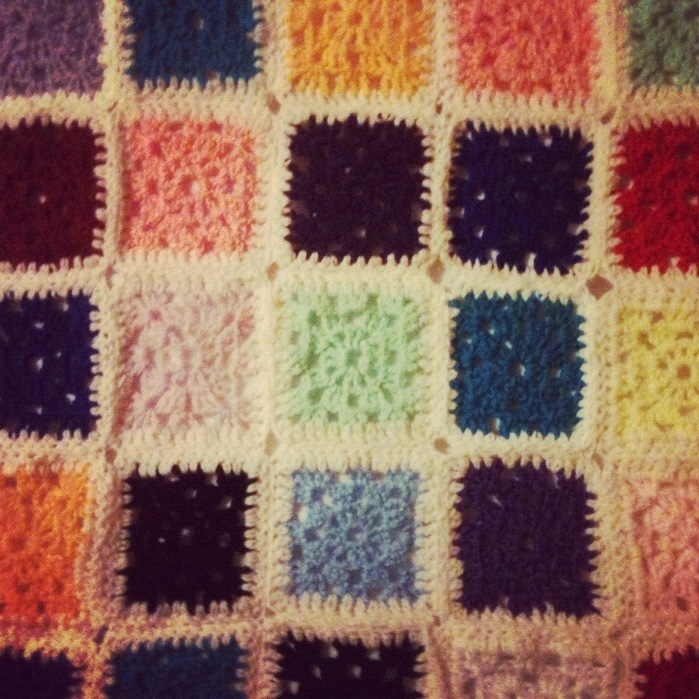 My very first project was a granny square blanket, I did this with the help of my mum in law and just used up her old stash of yarn, it was so much fun! Once I conquered the granny square I tried my hand at the granny stripe. I really loved this pattern I found from Attic 24 so I gave it a go! 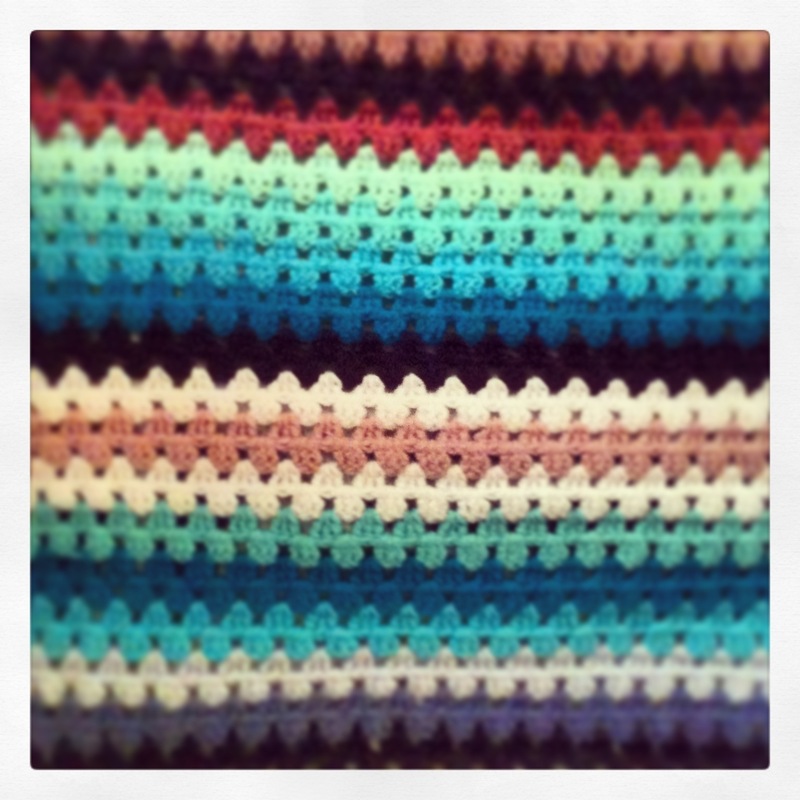 I bought some bright coloured yarn enough to make a cushion cover…. For a quick crochet fix I found myself making these cute crochet flowers, I love them! I wasn’t sure what to do with them so in the end I made a garland out of them and wrapped it round our christmas tree!!! 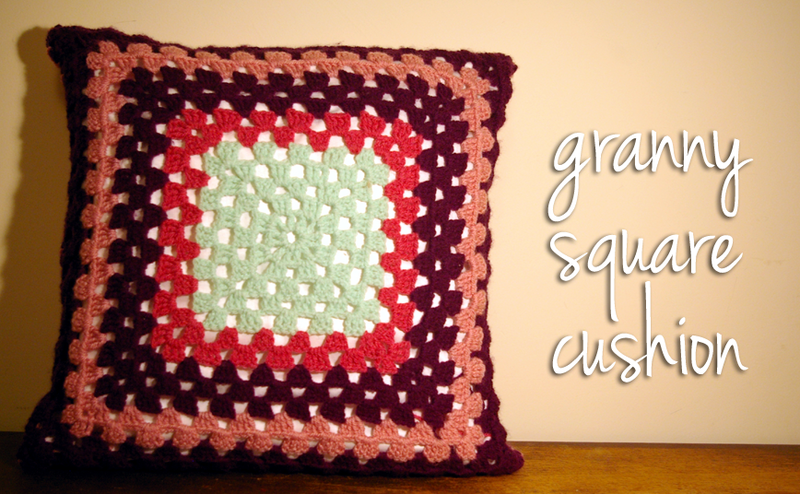 And lastly the granny square cushion. I love the colours in this one, it was really a delight to do and very simple. 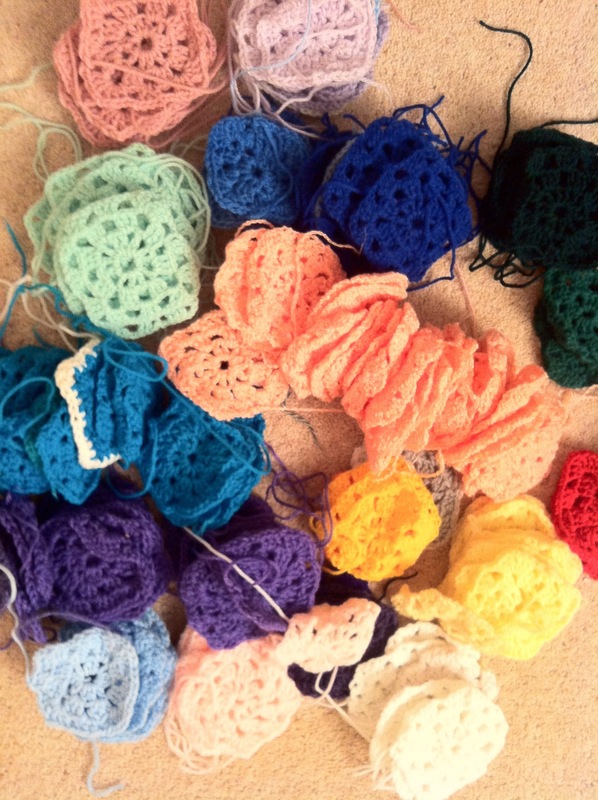 Granny squares are really versatile! 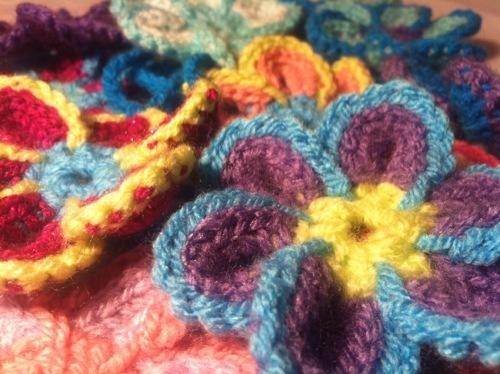 This entry was posted in crochet and tagged Crochet, crochet flower, granny square, granny stripe. Bookmark the permalink.